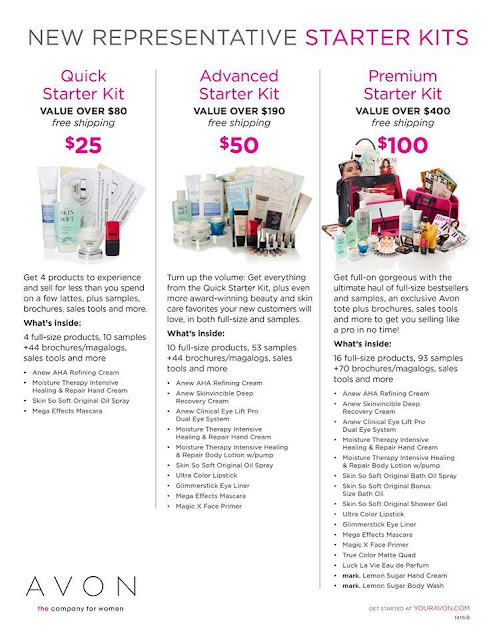 Avon has changed the structure they are using to sign up new Avon Representatives. There are 3 level of investment now, $25, $50, and $100. Each level has a Starter Kit to get you on your way to your business. You can answer a few questions to help you choose the best level or decide which level is best on you own. You have to use a credit/debit card to sign up. Feel free to use my sign up code: mylindaelliott HERE . This graphic explains the three levels better than I can.